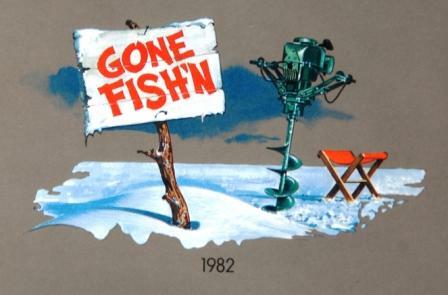 Sometimes I forget that there was a time, not too many years ago, when the only viewable information we could get about snowmobiles was either magazines, books and promotional material. 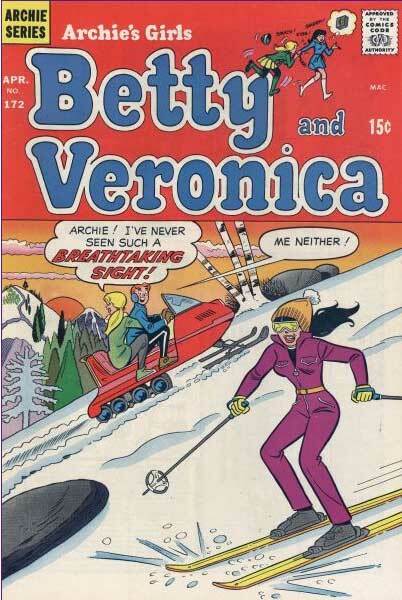 Even Archie Comics were cool if there a snowmobile was involved. And those few times I stumbled upon snowmobiling on television was like winning the lottery. Click to read my ramble. The first person who answers all of the mid-school, diabolical questions correctly, wins an infamous ArcticInsider Gift Pack. Good luck, and cheat if you want. 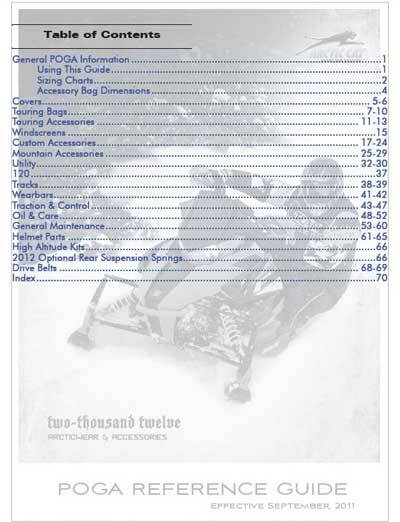 Every year Arctic Cat produces a parts/accessories/Arcticwear catalog with its new and popular items. The thing is, that catalog is only some of the stuff they actually have available. They also create supplemental catalog that includes many new items (not in the color catalog), as well as lots of other good parts/accessories, but most of us never see it. CLICK HERE to download a 10MB pdf of the catalog. 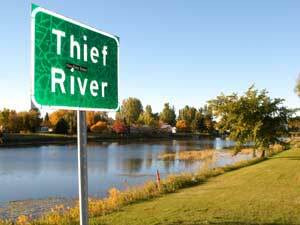 What was going on in Thief River Falls last Friday - Saturday? For all of you who want (or are building) a modernized vintage Arctic Cat El Tigre Cross-Country, throw down $10 for a chance to win one built by Brian Nelson (right). 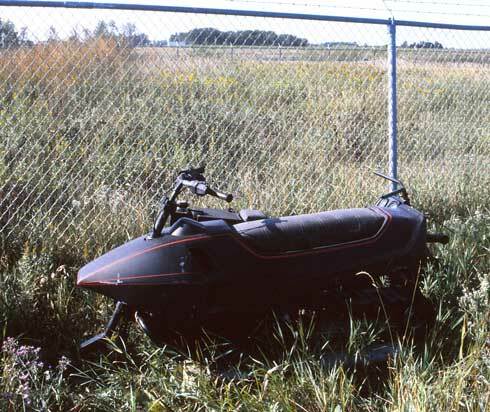 You'll be supporting the Snowmobile Hall of Fame in the process. 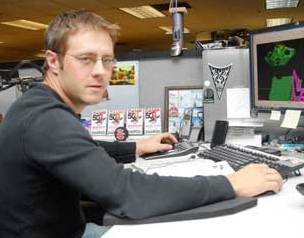 Andy Beavis is a Design Engineer at Arctic Cat, who designs parts and assemblies for the company's mountain sleds. Click to read about his job, and to see his sweet skills to ride the machines he designs. I’m really pumped that the new 2012 Sno Pro 600 race sled is built on the same ProCross platform that we regular riders will get. This past spring I witnessed handful of engineers and racers spending the day testing one of the early prototype Sno Pro 600 race sleds. 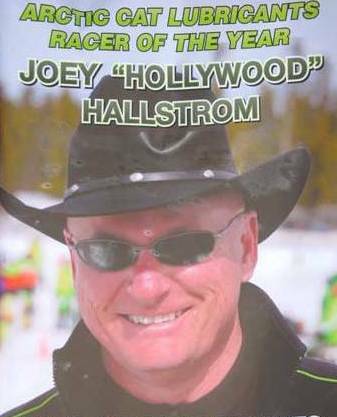 Racer of the Year: Joey Hallstrom??? Joey Hallstrom was named Racer of the Year. Click to see some congratulatory pix, and for news on how you can dethrone him for next year. 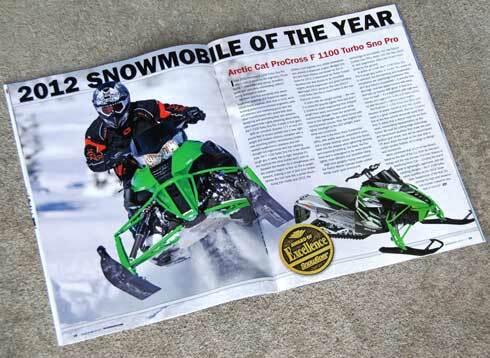 The November issue of Snow Goer magazine is out, in which the editors named the 2012 F1100 Turbo Sno Pro the "Snowmobile of the Year." My question for you is: Does an award from the snowmobile media influence you, in any way? I was at Arctic Cat in TRF yesterday. A quick one-day trip to do some work, get a photo of Kathy Johnson and see some friends. 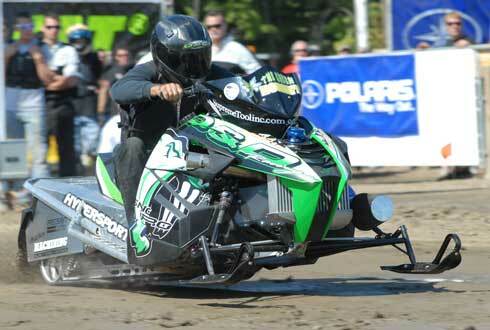 Hypersports/D&D built a 600-plus horsepower drag racer based on the 2012 Arctic Cat F1100 Turbo. Here are a few pix and video. UPDATED with another sweet new video. I know it's cool to brag about how long you've been going to certain popular events (FYI: I've been going to Hay Days since 1953). I'm not very cool, but here are 34 things I learned at the 2011 edition of this remarkable event. 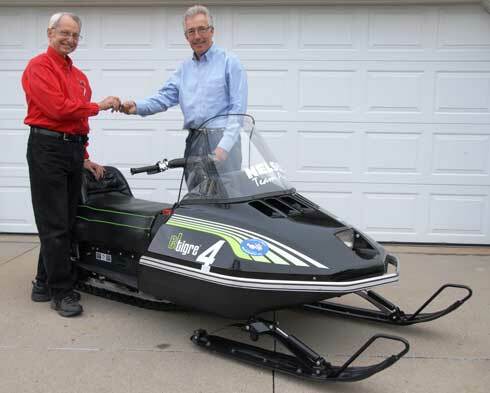 As many here guessed, the announced Arctic Cat unveiling at Hay Days was the new-for-2012 Arctic Cat Sno Pro 600 ProCross race sled. 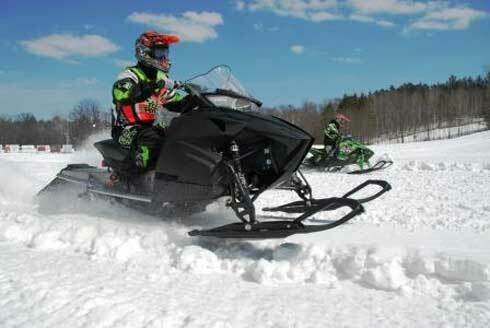 For the first time since 2004, the Arctic Cat race sled is largely identical to the Arctic Cat sleds the rest of us ride. Click to read about what will make this a championship-ready machine for racers, and why it's important for the rest of us. 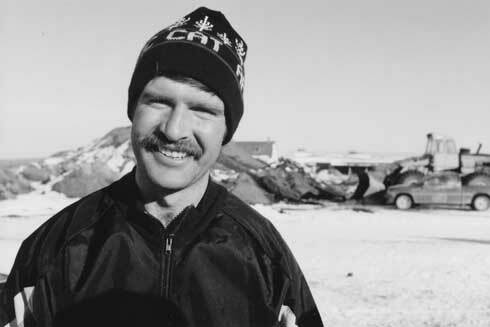 Can you ID this Team Arctic Racing Legend? The first person (other than Stephen Knox or Bengan) to answer correctly receives one of my infamous care packages. 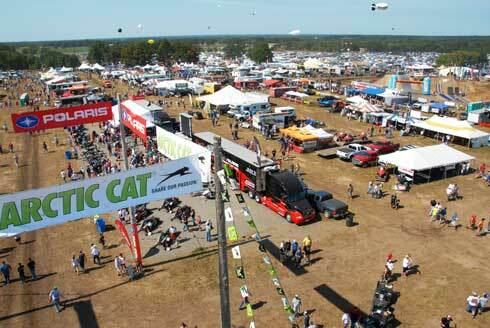 What Sled Will Arctic Cat Unveil at Hay Days? 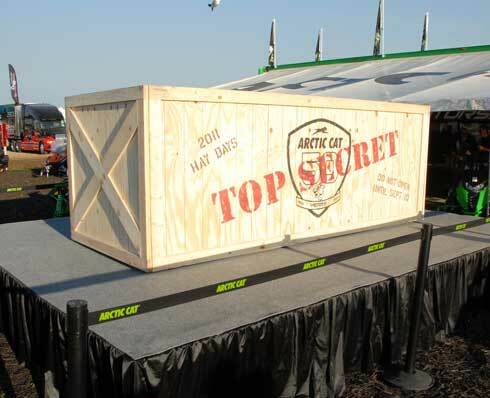 I just received an invitation to a new-for-2012 Arctic Cat snowmobile unveiling at Hay Days this coming weekend. Hmmm... 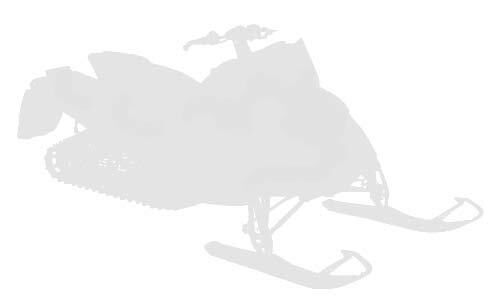 I wonder what new sled Arctic Cat will pull the wraps off? Cheers to everyone observing Labor Day weekend. After this weekend, Summer is over (in my view, at least). 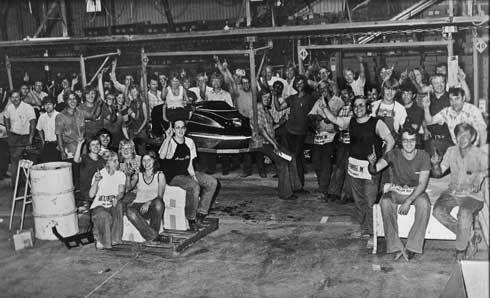 I believe there are still many more machines tucked away in barns, shops and garages. And I believe that time will eventually shake loose their roots, enabling them to surface. The last weekend of September often sees Arctic Cat people the world-over enjoying the final fleeting glimmers of summer. 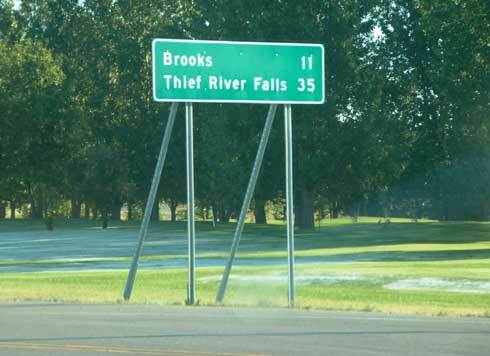 Some are going to the Outlaw Grass Drags/Swap Meet in Princeton, Minn., some are just chillin' with friends while others are buying new jeans and shoes for school. 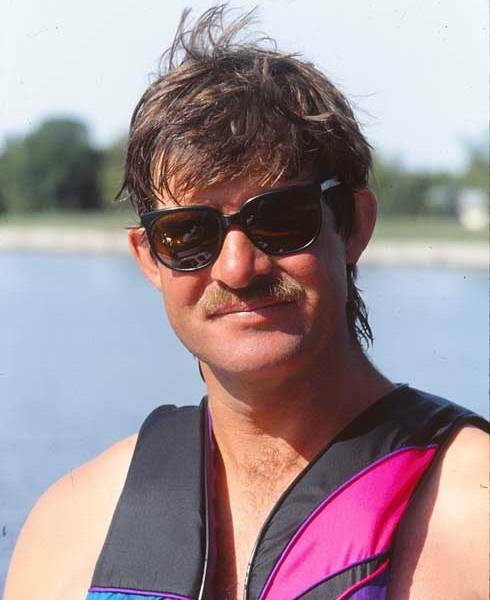 Meanwhile, Team Arctic's Kirk Hibbert is enjoying a day on the river, riding his Tigershark, hanging-out with Joey and wondering who the heck is chasing him on WetBikes. Click for the end-of-summer time warp. 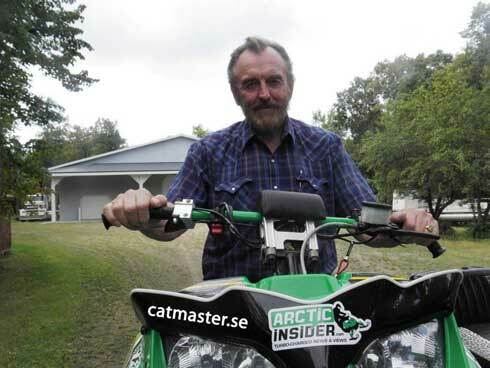 I’m glad that Arctic Cat went fish'n for a couple years, because it ultimately led the company to where it is today. If you weren't able to attend Arctic Cat's 50th Anniversary Party, this sweet 10-minute video gives a brief look at what went down.